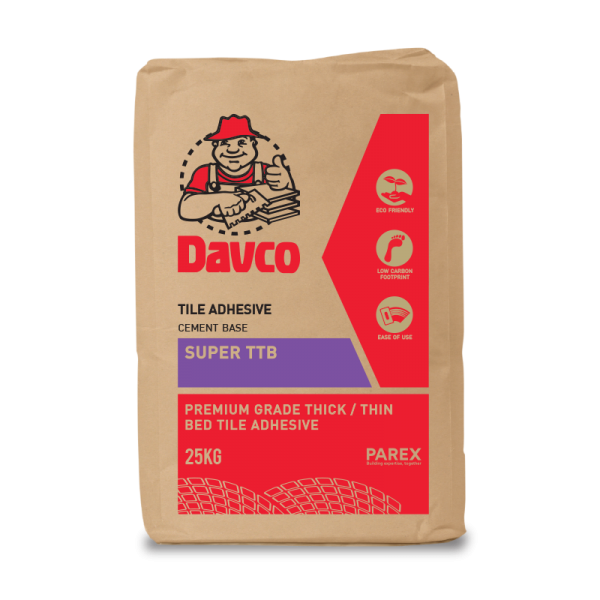 Davco Super TTB is a premium grade, flexible, tile adhesive for fixing of vitrified, porcelain, monocuttura, marble, slate and ceramic tiles. 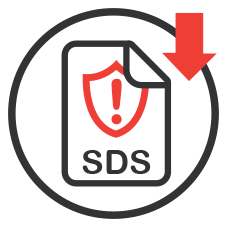 Davco Super TTB is classified as C2S1TE when tested in accordance to BS EN 12004:2007. Used for external pavers, tiles or stones subject to traffic. Installation of tiles on drywall, concrete, cement render and concrete blockwork and rendered brickwork,in both interior and exterior application. Its anti slip property enables easy installation of tiles on walls and floors in both interior and exterior applications. Highly water resistant, for wet areas such as concrete swimming pools and spas. Non-corrosive, non-toxic and resistant to chemicals.